Leveraging Vestas’ performance improving PowerPlus® products, Vestas will upgrade long-time customer IKEA Group’s global portfolio of Vestas turbines, equalling 316 MW, to maximise the value of their wind energy assets. The upgrades span across six different Vestas turbine types and are expected to generate on average 1.5 percent in additional energy production, estimated at a total of 13.5 GWh a year. With the PowerPlus® programme, Vestas can increase a wind power plant’s energy production and efficiency through site-specific optimisation of operational parameters, implementation of intelligent software algorithms or enhanced aerodynamic performance. 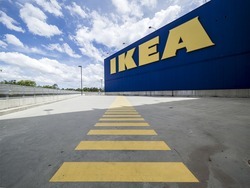 IKEA Group has ambitious sustainability targets in place, including an ambition to produce as much renewable energy as they consume by 2020. “It is great that we can extended the cooperation with Vestas and optimise the performance of the wind farms. We value long term relationships with our partners as we want to work together to improve and develop quality of operation and maintenance services,” says Krister Mattsson, responsible for Financial Asset Management, IKEA Group. IKEA Group’s global portfolio of Vestas turbines in the U.S., Sweden, France, and Poland will be upgraded, and this includes V80-2.0 MW, V90-2.0 MW, V90-3.0 MW, V100-2.0 MW, V112-3.0 MW and V112-3.3 MW turbines.